Interstate 471 to Newport Exit, R on 10th, R on Monroe, R on 5th, L on Park, R on Lexington, R on 4th. Open House 02/24 and 02/25 Cancelled. Historic brick 3 story in Newport's Mansion Hill neighborhood. 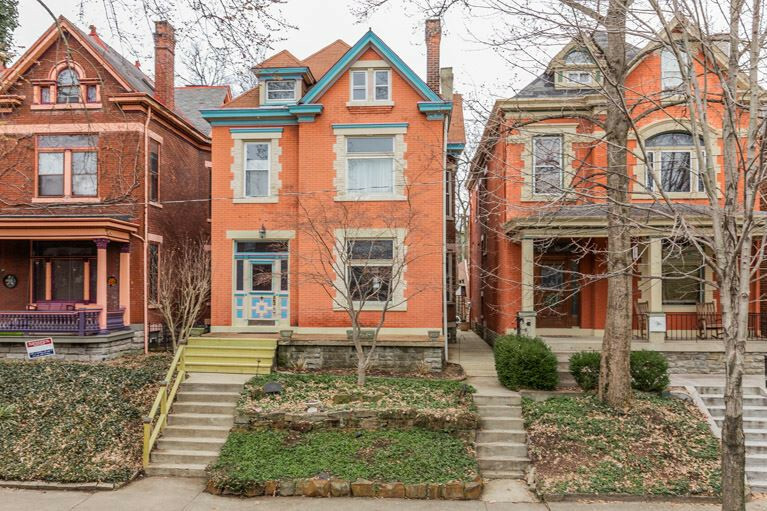 This East Row home has 2 car garage parking, hardwood floors, classic stained glass, high ceilings, & bright updated kitchen. The finished basement has ceramic tile, a full bathroom, & lots of storage. Nearby highways, dog park, & Newport on the Levee.